The palette is in beautiful rose gold packaging with any easy open & shut lid that is magnetic. It comes with a black Perversion mascara, 24/7 eye liner pencil in Stag (a dark brown), Naked Lip gloss in Sesso , 5 eye-shadows three shimmers and two matte, a bronzer, blush and a highlighter. 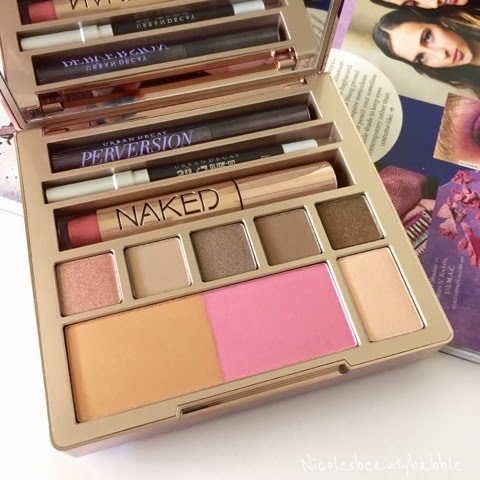 This palette would be perfect for travel as you have everything you need in the one spot. All the colours are beautiful and very usable, I think everything in this palette would suit an array of different skin tones and you could create different looks. Overall I am so glad I picked up this little baby and I will get a lot of use out of it. Now that Urban Decay is accessible to us Aussie's and we can purchase their goodies straight from Mecca here I'm sure I will be picking up a few other items I have been lusting over. What Urban Decay products are on your list to get? Please leave me a comment below I would love to know. That palette looks so beautiful! I'm such a sucker for palettes. 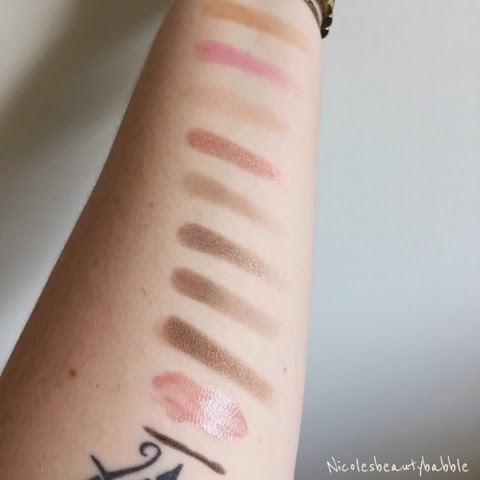 My favourite UD product is the NAKED basics, and I'm keen to get the NAKED Basics 2, but can't justify it yet! NBB 1st Birthday & Giveaway!